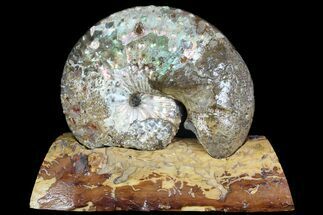 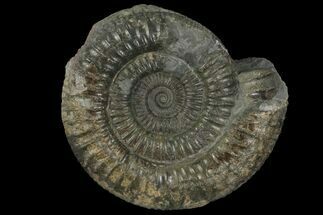 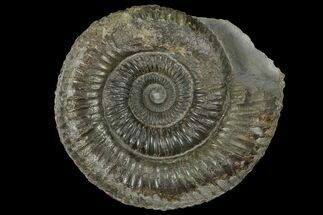 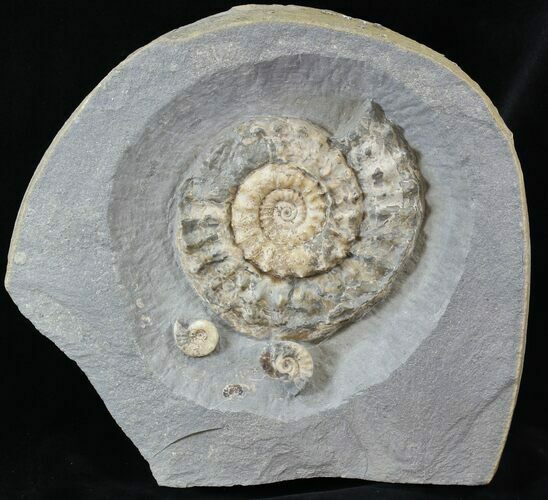 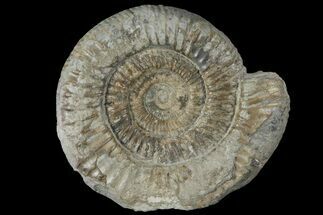 This is a exceptionally nice specimen of a classic, Lower Jurassic ammonite from the Lyme Regis region of England. 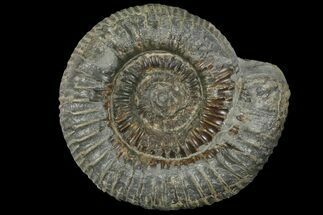 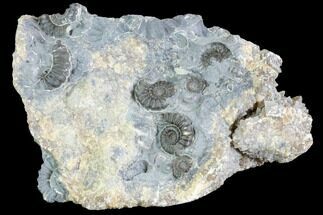 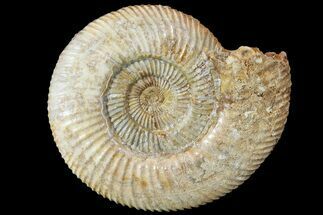 It's beautifully preserved, 4.4" wide Microderoceras birchi which has been nicely preserved from the hard limestone. 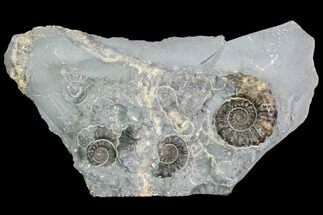 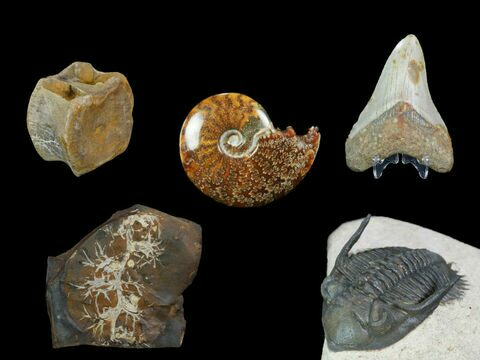 There are several small ammonites also in the rock just below it. 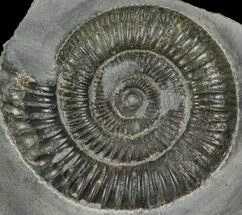 The base of the rock has been cut flat so that this specimen displays very aesthetically.